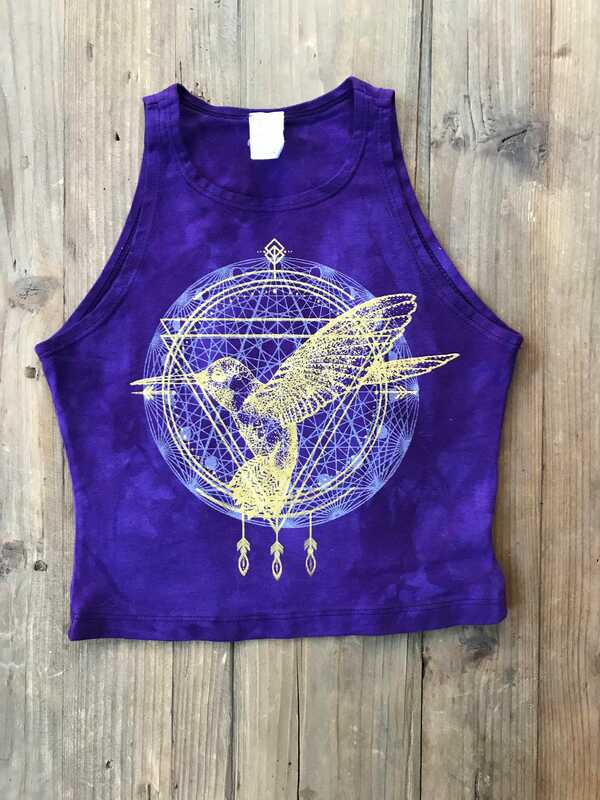 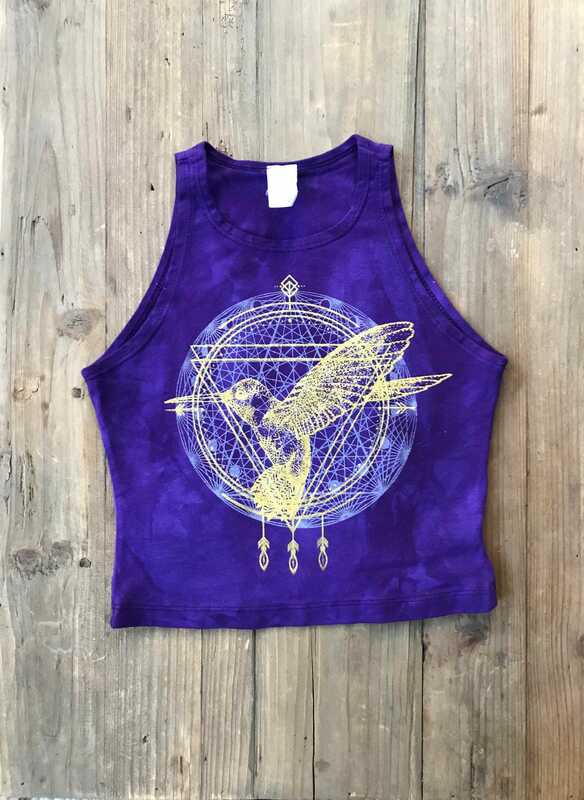 Δ HUMMINGBIRD art designed and silk screened by Grizzy. 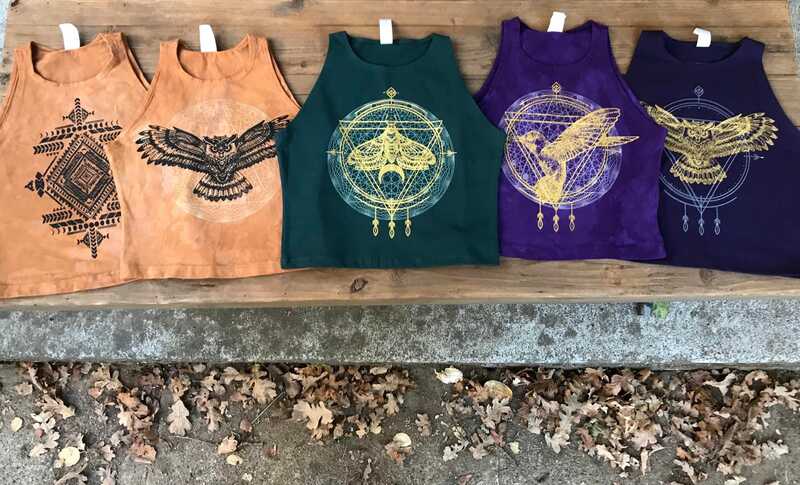 Δ Available in Small, Medium, Large and XL. 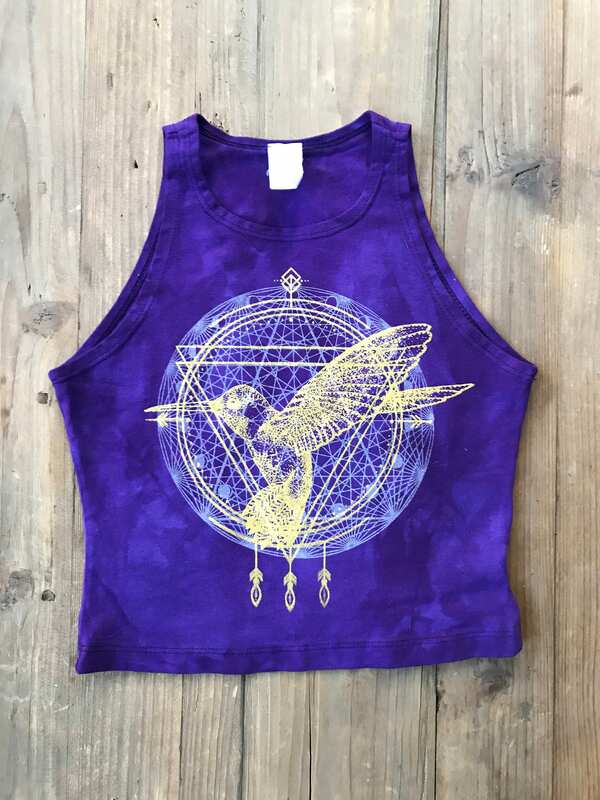 *Note: Our imperial purple variation is dyed in house by us, using a VAT dye technique, color variation is common and makes them beautiful and unique.